GMDX seeks to enhance the player experience wherever possible, from gameplay to audio design to graphics, while maintaining strict respect for the original game’s identity and essential design principles. 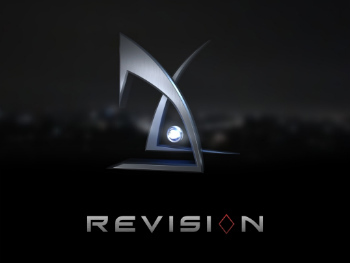 The objective is not to change the fundamental core of Deus Ex, but rather to dig deeper; to more fully achieve and build upon the creative vision put forth by Warren Spector and the Ion Storm Austin team back in 2000. This modification is way better than Revision, Shifter and BioMod. Also providing a lot of interesting gameplay mechanics for enemies and their AI on top of player buffs. Shame about textures but all other mods are bad at that too. Damn, this is truly a much better looking modification than Revision. Not only that, but the AI looks so nice. - Strange bug that caused freezing after I saved in a certain position inside the small bunker-esqe building (electric puzzle) after making Gunther and military bot upset. I used the ps20 to kill a guy there, on the alt fire. - Smoking crashes the game if you die from it, possibly because I was in real time menu. GMDX is excellent, but Revision had fantastic map design. Altho the makers should never have tried their hand at adding new supplemental writing. It didn't fair well in comparison to the original quality material. I hate Revision's map design. Visually it has improved a lot of locales but that doesn't translate to good game design. Also, Manderly's office in Revision is super laughable. - I believe AI path-finding confusion from clowny business (constantly resetting their behavior by making constant sounds like opening doors over and over again as they try and get through them) is causing the game to crash. Although this should be fixed, I recommend AI should attempt to break down doors after repeated attempts to get in but failing. This can be done with certain equipment such as a shotgun or DTS, and a check between damage threshold to actor weapon damage with some obvious bans such as LAMs and GEP, unless you get their AI to work smoothly. Alternatively give this behaviour as default to certain stronger enemies such as transgenics, MIBs, WIBs, MJ12 and MJ12 commandos. While this may create more opportunities for the player to 'cheese' sections by having them break doors without wasting resources, chances are there's not a lot of enemies with explosives or weapons strong enough to open simple doors.